Technology has taken over the world, and there is no doubt in the fact that our lifestyles have changed a lot, things are not the same as they used to be in fact technology has now taken cooking to another level too. Now, gone are the days when people used to fry things manually, and there are now air fryers available in the market that can give you an amazing cooking experience. You might be thinking that air dryers are expensive and cost thousands of dollars, well, no it’s not the reality. The fact is that air fryers are not at all expensive and they are cheaper than the other big electronic products. 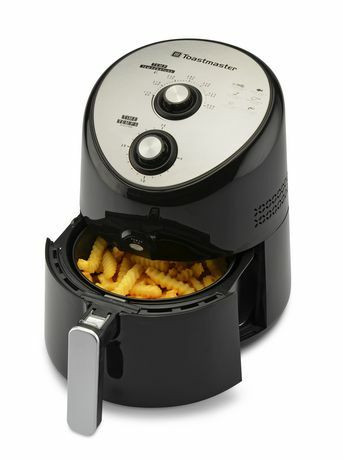 Today we are going to jot down some tips that can help you master the use of air fryer. So, folks, take notes of what we are about to tell you because this will make cooking more fun for you. Now mostly people overcrowd the air fryer and start stuffing it up to cook everything at once, but this is the most significant mistake you will ever make. You see when you have to fry something in a pan deep, you never overcrowd the pan. Now in case of an air fryer when you have to apply little or no oil, make sure that you keep it light to get good results. Most people complain that whatever they cook in the fryer turns out less crispy and the reason behind it is that you placed a lot of things all at once. For good and crispier results, keep it light! Now, this is also a wrong concept that air fryers don’t need any oil. They surely do, but the amount of the oil required in this case is significantly less than the frying pans. You can buy a cooking oil spray for that to make sure you are putting a little amount of oil on whatever you want to cook in the air fryer. Not putting any oil results in food getting stuck with the fryer’s surface and also, it won’t taste as good as you want it to. You cannot take out the food from the fridge and directly put it into the fryer. In fact, you need to make sure that whatever you are about to place in the fryer, is not extremely cold and not extremely hot too. Just keep it the things in it that are at room temperature, this tip will help you save some cooking time, and you will get crispier results too. Most people think that air fryers can only be used for frying purposes. However, that is not the case in fact, with this product you can make so many other stuff too. Like you can bake pizza and lasagna in it too and also, you can cook noodles in it. In a nutshell, with air fryer you can cook so many dishes and the best part about this product is that it gives you healthier and easier food. These are a few tips that can help you in getting the best out of your air fryer. Follow the tips mentioned above, and we assure you that you will get the best results out of it.